In my previous post I described an experiment in which a subject, the Teacher, repeatedly applied a seemingly lethal electric shock to a person, the Learner, who was pleading to be set free. The Teacher administered the shocks only because the Learner failed to properly match a pair of words previously recited from a list. Even though the Teacher was concerned that the shocks may have caused the Learner to suffer a heart attack, the Teacher continued to administer the shocks simply because the Experimenter dispassionately insisted that the experiment must continue. The experiment was one of a series of 19 similar experiments conducted in the early 1960s by Stanley Milgram and documented in his book Obedience to Authority. The experiment, as you may suspect, really had nothing to do with the effect of negative reinforcement on learning. The experiment had to do with people's response to authority. The matching word test was but a ruse, a plausible excuse for asking a subject to apply a shock to another person. 120 volts: Ugh! Hey, this really hurts. 150 volts: Ugh!!! Experimenter! That's all. Get me out of here. I told you I had heart trouble. My heart's starting to bother me now. Get me out of here, please. My heart's starting to bother me. I refuse to go on. Let me out. 195 volts: Ugh! Let me out of here. Let me out of here. My heart's bothering me. Let me out of here. You have no right to keep me here! Let me out! Let me out of here! Let me out. Let me out of here! My heart's bothering me. Let me out! Let me out! 210 volts: Ugh!!! Experimenter! Get me out of here. I've had enough. I won't be in the experiment any more. 255 volts: Ugh! Get me out of here. 270 volts: (Agonized scream.) Let me out of here. Let me out of here. Let me out of here. Let me out. Do you hear? Let me out of here. 300 volts: (Agonized scream.) I absolutely refuse to answer any more. Get me out of here. You can't hold me here. Get me out. Get me out of here. 315 volts: (Intensely agonized scream.) I told you I refuse to answer. I'm no longer part of this experiment. 330 volts: (Intense and prolonged agonized scream.) Let me out of here. Let me out of here. My heart's bothering me. Let me out, I tell you. (Hysterically) Let me out of here. Let me out of here. You have no right to hold me here. Let me out! Let me out! Let me out of here! Let me out! Let me out! Beyond 330 volts, the Learner / Actor gave no response. He left the impression he was unconscious, possibly dead. At the end of the last post, I asked you whether you would have administered the potentially lethal shocks. I suspect you each told yourself that you would never do such a thing. I then asked you if you were sure. I suspect most or all of you were positive you would never do such a thing. I suggest now that two-thirds of you were wrong. I base my never-to-be-tested prediction based on the results of Milgram's experiments. As part of his study, Milgram (or his associates) briefed 39 psychiatrists, 31 college students, and 40 middle-class adults about the nature of his experiments. Without revealing the results, he asked the 110 people the maximum level of shock they would have provided. The responses varied only slightly among the groups. The average maximum shock level predicted by the respondents was 135 volts. Only 8 people believed they would have applied more than 200 volts. No one believed they would have applied any shock higher than 300 volts. Milgram's experiments indicate two-thirds of those people were wrong. Twenty-six of the forty subjects in the specific experiment described applied 450 volts. Milgram described these 26 people as obedient. Under Milgram's rigid standard, even the person that applied 375 volts but refused to apply more was classified as disobedient to authority. Perhaps I'm applying too much significance to Milgram's experiments. Perhaps his subjects did not represent a reasonable cross section of humanity. Milgram anticipated my concern and addressed the issue in his book. Moreover, when the experiments were repeated in Princeton, Munich, Rome, South Africa, and Australia, each using somewhat different methods of recruitment and subject populations having characteristics different from those of our subjects, the level of obedience was invariably somewhat higher than found in the investigation reported in this book. Thus Mantell, in Munich, found 85 percent of his subjects obedient. Illusory superiority is often referred to as the above average effect. Other terms include superiority bias, leniency error, sense of relative superiority, the primus inter pares effect, and the Lake Wobegon effect (named after Garrison Keillor's fictional town where "all the children are above average"). Hopefully, you find this discussion regarding blind obedience to authority to be both disturbing and humbling. In my next post, I will attempt to extend this discussion more directly to juries. Comments are now open and welcome. 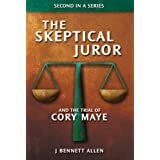 I'm not sure this experiment can shed light on how juries perform. 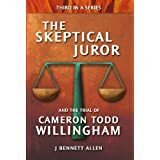 You did have a graph a while back that compared how juries and judges thought about the evidence and that was a little stronger. 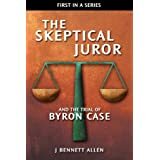 The problem is that we have three methods of deciding guilt that I can think of, judge or panel of judges, professional juries, or our current system. It might be interesting to see what we would change if we thought about making a jury smaller/bigger.